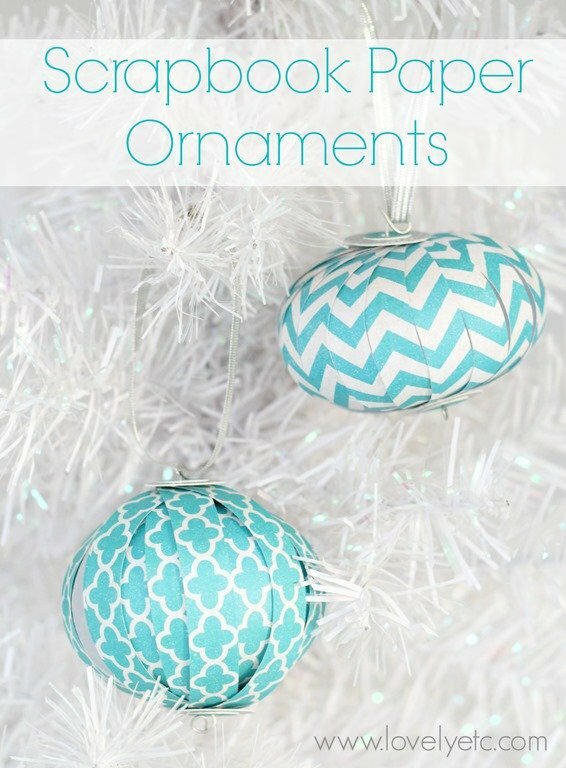 Glam Paper Christmas Ornaments - Lovely Etc. The most awesome thing about both of my ornaments today is that they are created almost entirely using scrapbook paper. You can’t get much more economic that that! 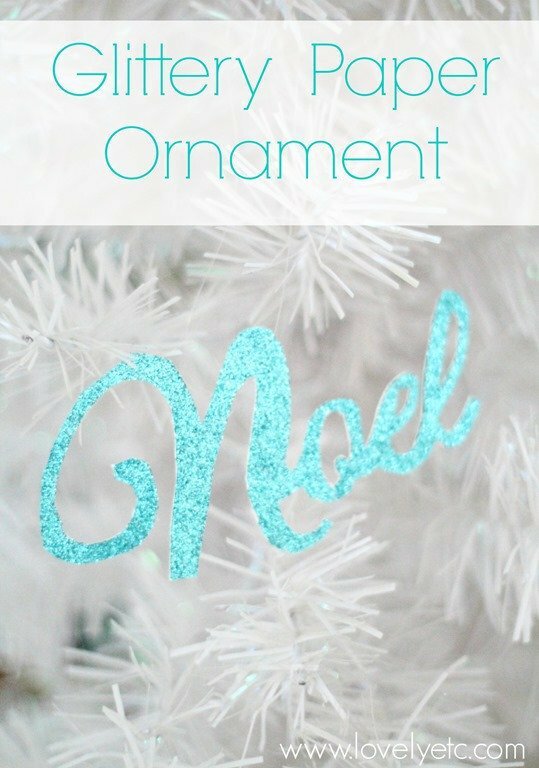 The first ornament has a bit of sparkle and a whole lot of holiday cheer. This one is pretty much as simple as it looks. 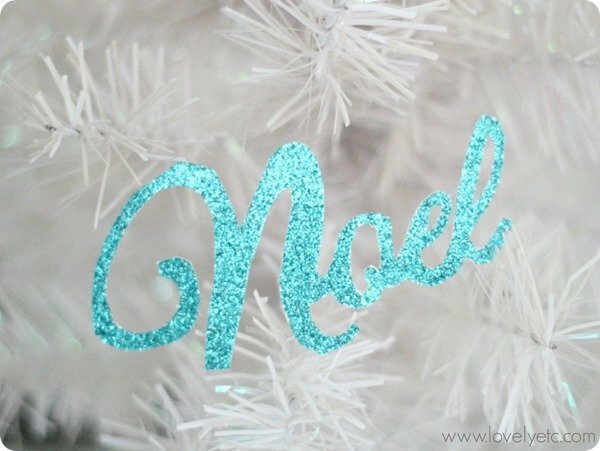 I picked up a piece of gorgeous glittery card stock at Michael’s. I printed out the word Noel in a font I like. I traced Noel onto the cardstock and cut it out using a craft knife. I hung the ornament with a piece of fishing line. That’s it! You could do any Christmas word you want or even your family’s names. 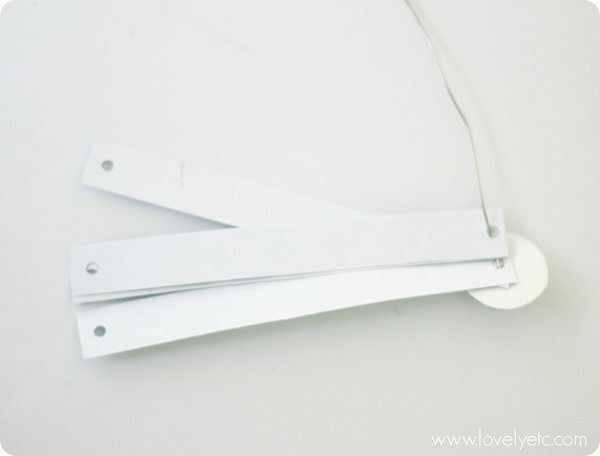 Plus these also make fabulous tags for gifts. The second set of ornaments are slightly more complicated – but only slightly! And the possibilities are endless which makes these so fun. You could make them using pages from old books, old sheet music, sparkly paper, even photos! I adapted this tutorial from Eats Reads Thinks to make these. You need a few pieces of scrapbook paper, something to cut with, a small hole punch and a small piece of wire. 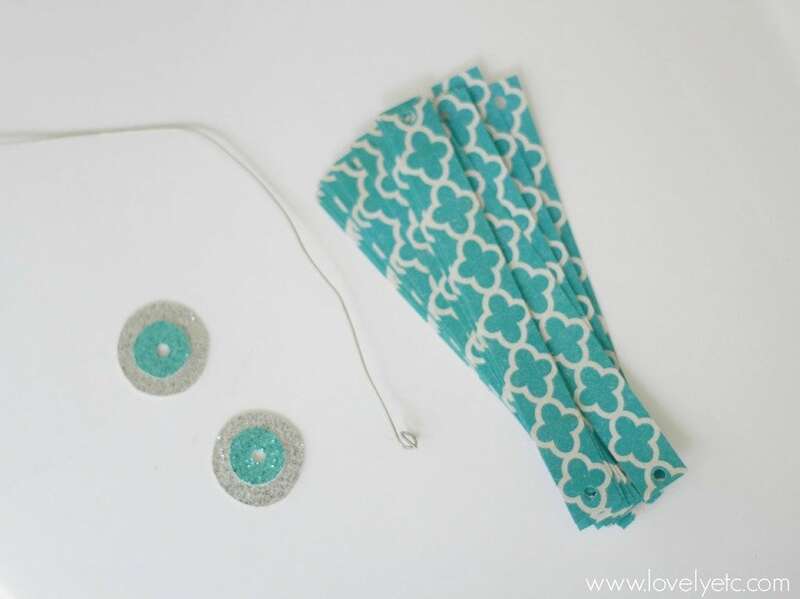 First, cut four circles out of pretty scrapbook paper or card stock. 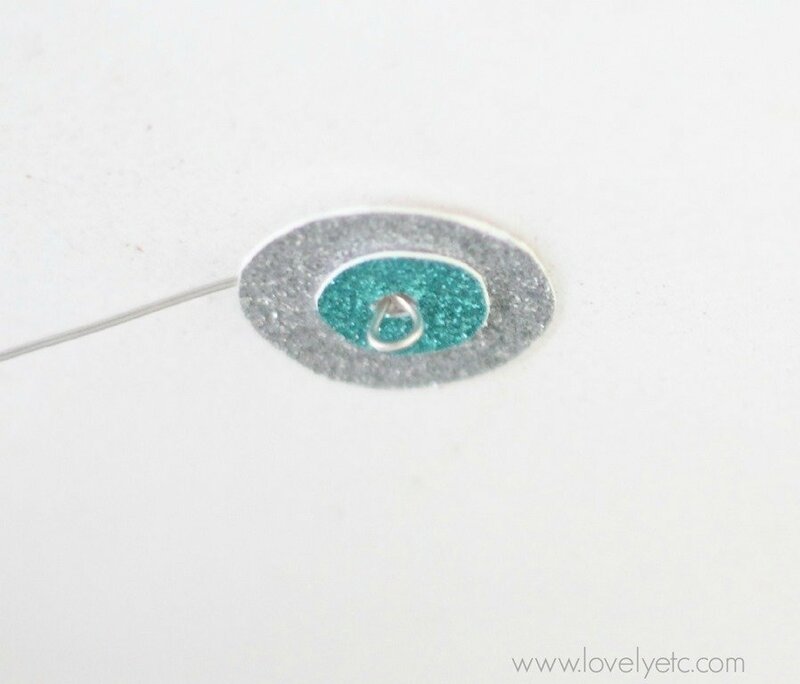 Two circles should be around an inch in diameter and the other two should be half an inch. Glue each smaller circle on top of one of the larger circles. Punch a hole through the center of each set of circles. Cut out 18 strips of scrapbook paper. These should be half an inch by four and a half inches. If you are using a patterned paper (like the chevron I used) keep these strips in order as you cut them. Use your hole punch to punch a small hole at each end of the strips. 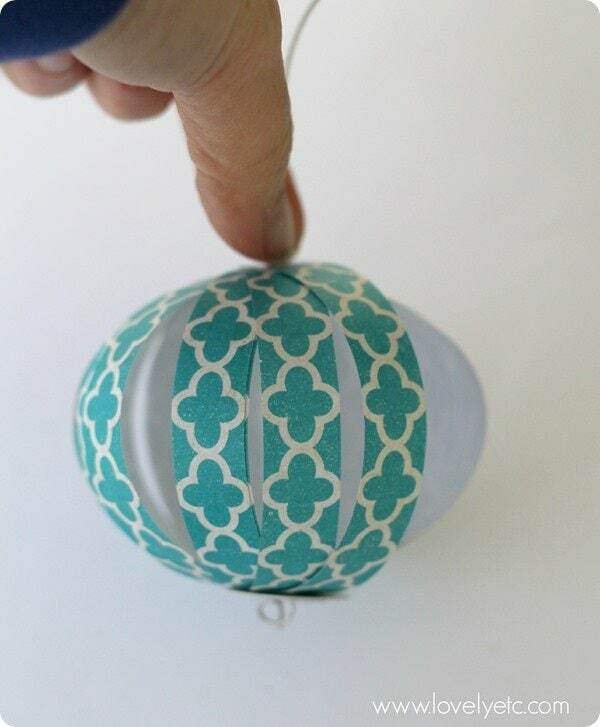 (Cardstock does not work well for this part of the ornament, you need something very flexible). String one set of circles onto the wire with the pretty side facing the loop you made. This will be the bottom of the ornament. String one end of each of the strips onto the wire, also with the pretty side down. 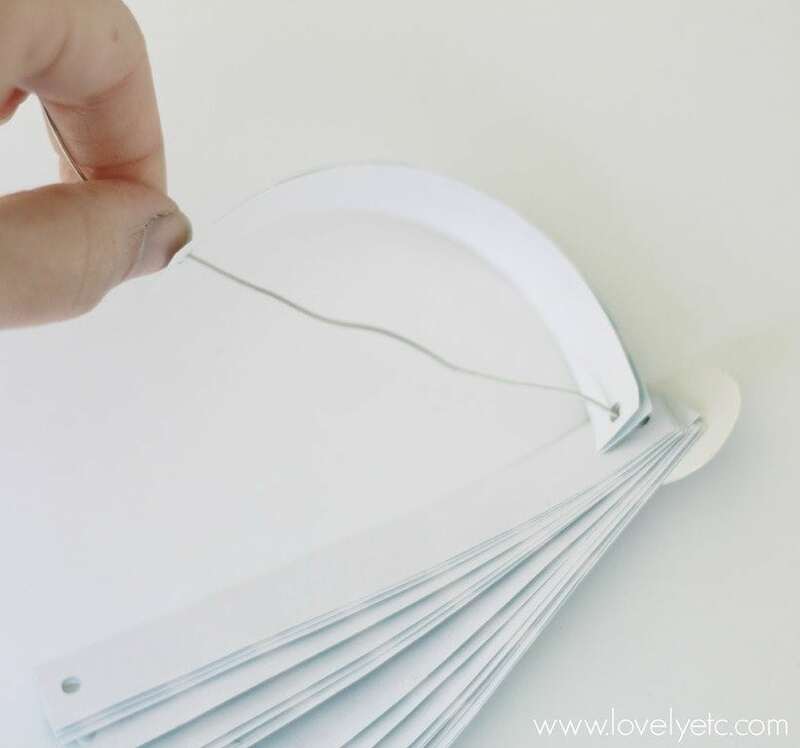 Bend each paper strip to slide the top hole onto the wire. Once these are all on, add the second set of circles and then push the ornament down to the fullness you want. Bend the top wire into a loop as well to keep the paper in place. 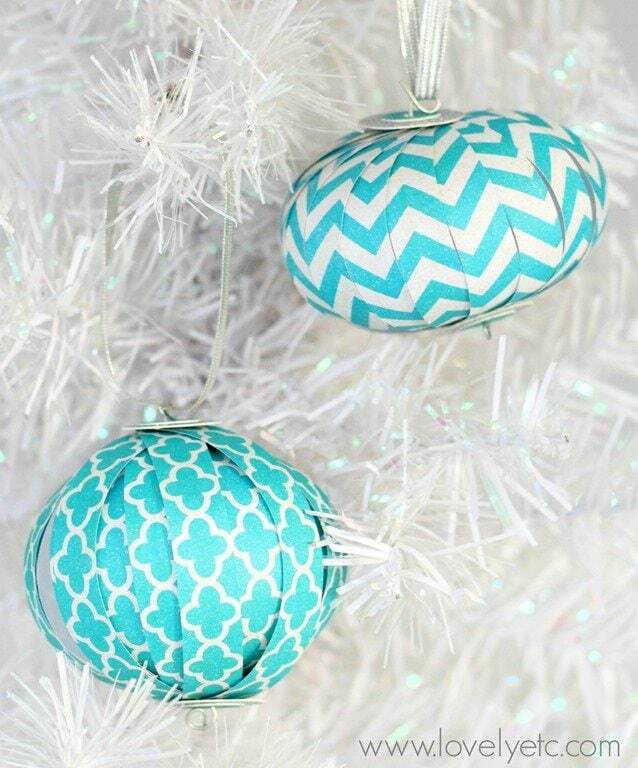 Hang a string or ribbon from the top loop and hang them on your tree! It might sound sort of complicated, but once you make one of these, you could crank out a whole pile in an hour. 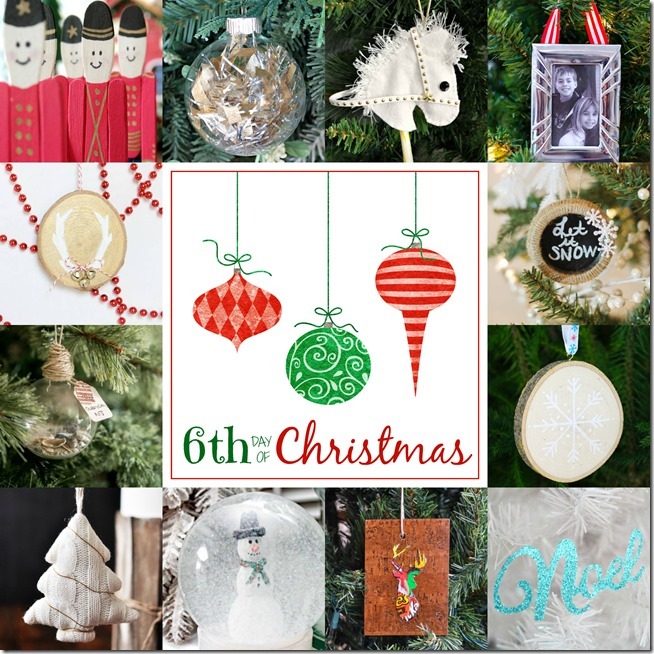 And now I have two more groups of gorgeous ornaments to share with you. And trust me, you are definitely going to want to check these out; there are some really great ones here. 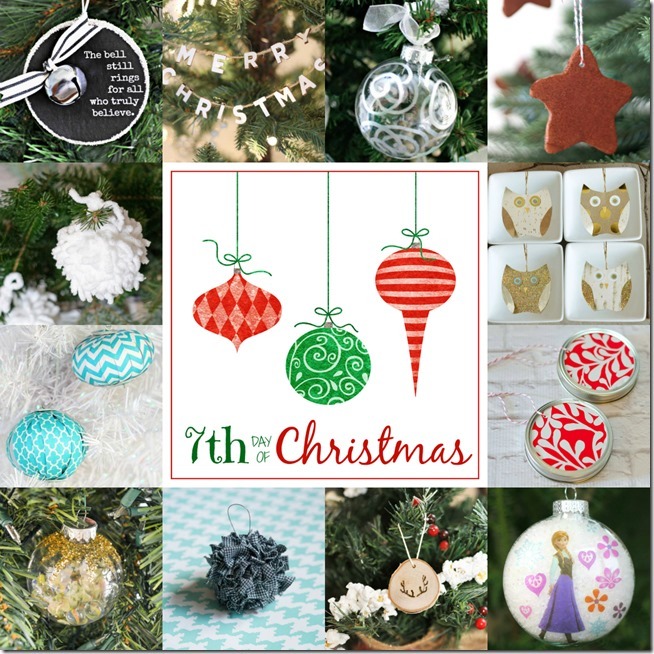 Be sure to catch up on all 12 days of Christmas ornament creations here! Yay – glad I could help! Magazine pages would be awesome! What a clever idea! Carrie, you amaze me all the time! Can’t believe it is scrap paper. Especially love the glitter card stock. I love working with paper, very economical! 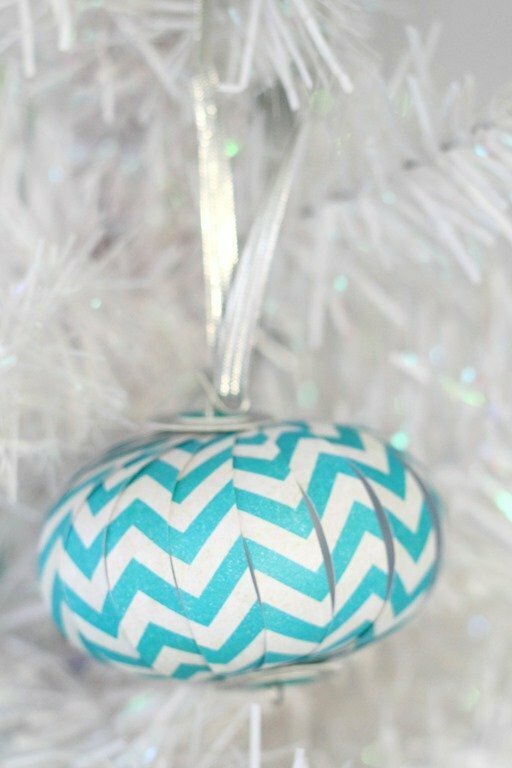 ;) The paper ball ornament is my favorite! Thanks Cristina! Paper is awesome because it is super cheap and can do so many things!